Congratulations to Leslie on winning the slices! Are you ready for today's giveaway? One lucky person is going to win a set of four multi-colored agate slices! They can be used as coasters, framed as wall art, made into giant magnets or used as tie backs for your curtains! To enter: Comment on this post and tell me what you'd do with the slices if you won them. Winner info: One winner will be selected by random.org. I'll announce the winner on Wednesday, June 5th and will ship the slices out shortly afterwards. I'd love to hang them in my living room! So pretty! Congratulations! It take a year to figure all of this out, don't ya think? I would love to use them as coasters on my coffee table. I would frame them, they are beautiful! I would frame them and hang them in my bedroom! I love them!! I think I'd use them as giant fridge magnets! Beautiful! Happy Houseiversary! I would hang them on my wall - maybe in frames? I love them!! My first thought was coasters, but I think they'd be divine in a series of shadow box frames! Happy Housiversary! I'd hang them on our walls above the rest of my rock collection -- nerd alert! Congratulations on your one year houseiversary!! I would definitely frame them and put them in my dining room. Love them! fridge magnets would definitely be pretty! Happy Housiversary! I think I seriously need these in my life. They'd sit on our end table in the living room and if someone is lucky I might let them use one for a drink...maybe...or maybe not. I'd frame them and hang them in my living room. What a great giveaway. Ah! I can't decide! I've been wanting agate slices, but I haven't wanted to fork over the dough at HomeGoods. Maybe a towel hook and some wall art! Those are beautiful!! I would totally have them framed and hang them in my bedroom! Oh my gosh - I think I'd have to use them as art! Maybe in my soon-to-be-redone office? I have been loving agate slices lately. I'd either use them as coasters or frame and hang! We're working on our dining room, so the first place my mind went was coasters. I just gold leafed the rocky part of our crystal like bookends. Itll be a bit til I post about them but I'm so in love and have you to thank for the inspiration! I would hang them in my all white coastal bathroom. Happy Houseiversary! 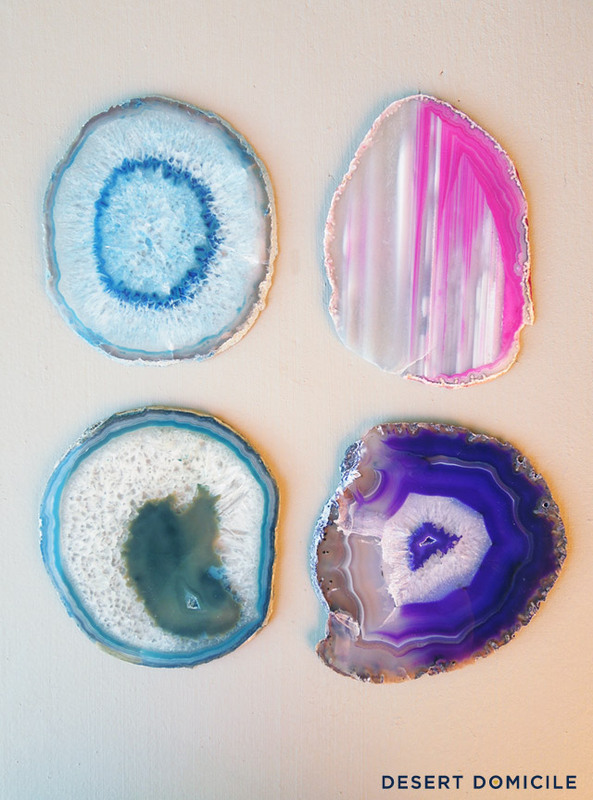 I think that the very first post that I read on your blog was about agate slices! LOVE THEM and have been drooling over them for a while now. I would love to see these framed in our living room or maybe even in our Master bedroom. 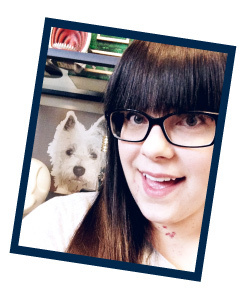 LOVE YOUR Blog and keep up the great work.